Excellent instructions. 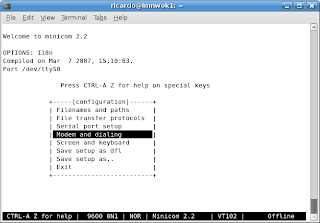 I got minicom set up and running within 10 minutes on by Ubuntu box. Thanks a million! Good tutorial. 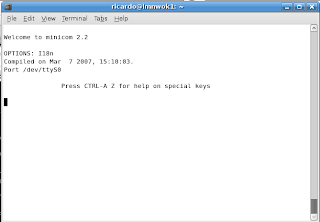 I have configured my laptop LifeBook E Series on 10 minutes under Ubuntu Hardy 8.04. 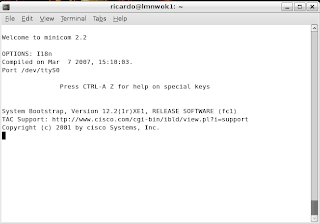 I have tryed the connexion on a Cisco Catalyst 3560 Series PoE-8 without trouble. great tutorial. 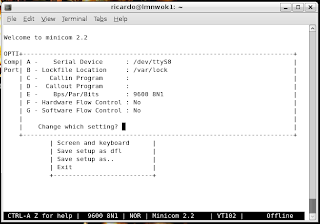 only thing is to remember to turn off hardware flow control because it defaults to 'yes'. thanks again! Awsome tutorial. Easy to understand and straight to the point. 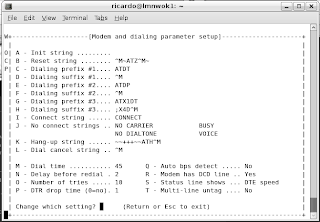 I have two routers for my CCNA labs so worth saving the setup for serial port 0 as S0 and for port 1 as S1. 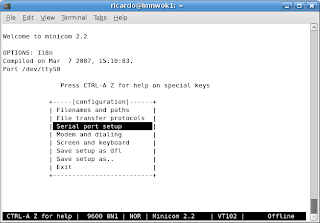 Then next time start as " minicom S0" in one terminal window and as "minicom S1" in another terminal window. 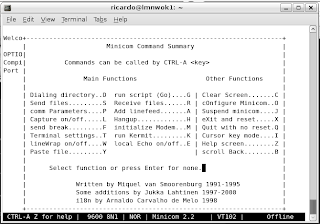 My return key(Enter) nor esc does not work with minicom when my device is connected to serial port, anyway flashes all that is going on in the device...How can I get rid of this..? Thanks in advance.